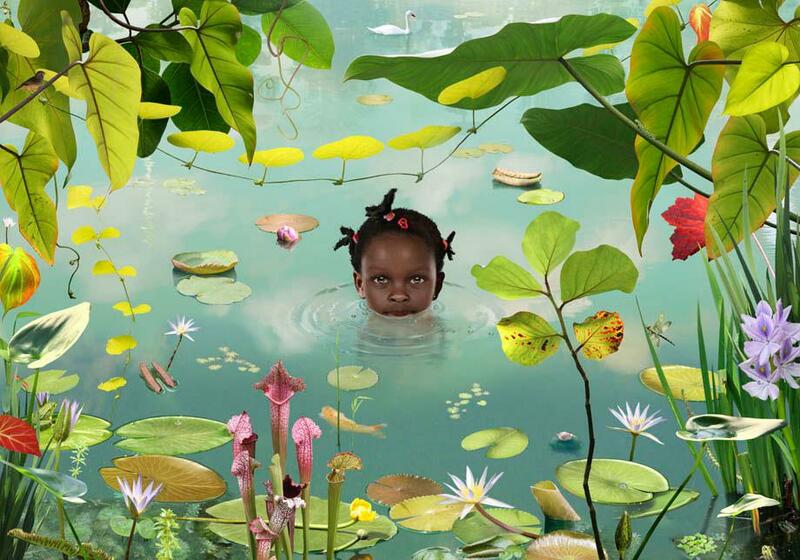 Ruud van Empel: A photographer uses a mix of real models to create his own version of Eden (PHOTOS). 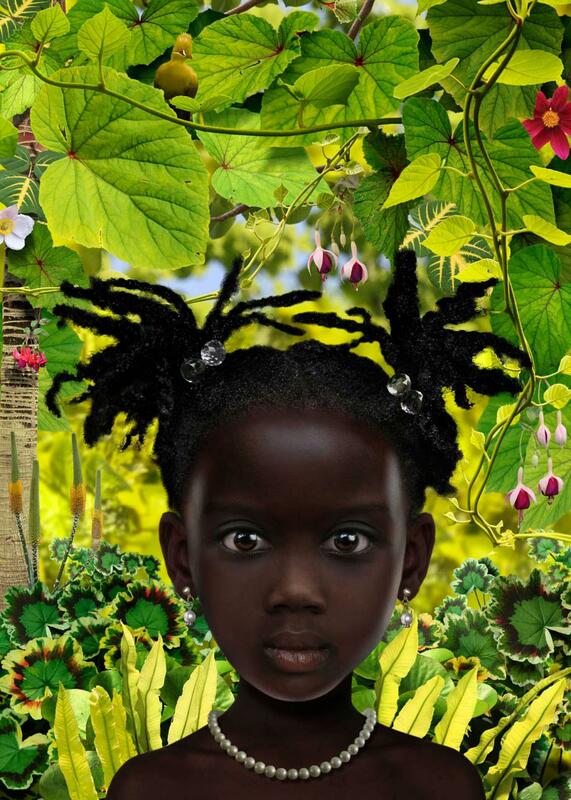 Many of the “models” found in Dutch photographer Ruud van Empel’s work have an otherworldly appearance and live in an otherworldly environment. 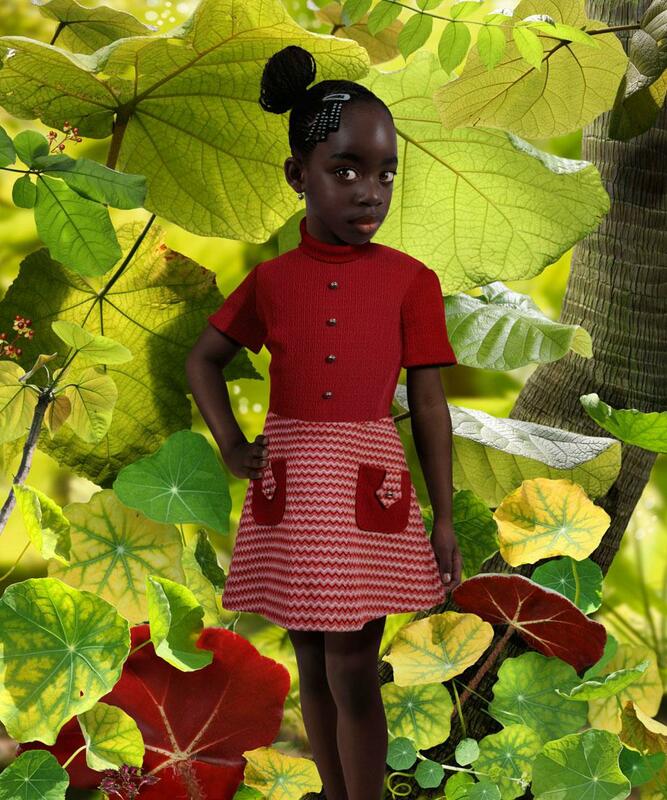 That’s because van Empel doesn’t find his models, he builds them—out of pixels. For each child, or set of twins, he photographs four or five professional models and blends their features in Photoshop. The nature settings are assembled from photos of foliage and ponds in his native Netherlands. 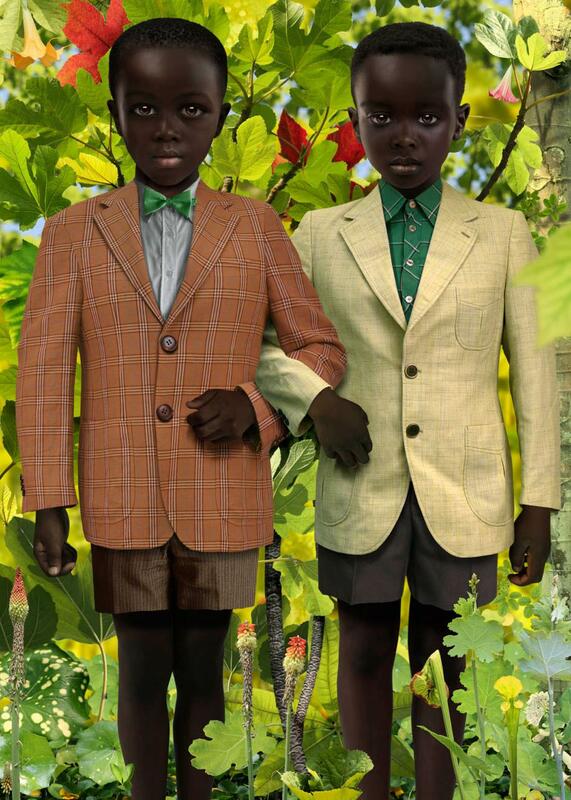 His twins standing stiffly side-by-side in their lace-collared dark dresses call to mind Diane Arbus’ twins and their doppelgängers in Stanley Kubrick’s The Shining,” van Empel disclaims any influence. He simply enjoyed the challenge of creating faces that are nearly identical but not quite. “I developed my own technique in the mid-’90s,” he wrote in an email. He experimented day and night, testing the limits of Photoshop, and discovered he could assemble just about anything he wanted. His first experiments didn’t stray far into the landscape of the imagination, though the images were often fantastical. For his black-and-white series “The Office ,” he stuck close to home, super-sizing everyday workaday fantasies by creating surreal imagery filled with overlapping components. After a while, he tired of the extraneous elements found in his work and began searching for something less cluttered. “I wanted my images to be more empty,” he said. He started the “Study for Women” series, assembling his first people by photographing store mannequins and Photoshopping real eyes and skin onto them. In an eerie echo of The Stepford Wives, he created women with the exact look he wanted. 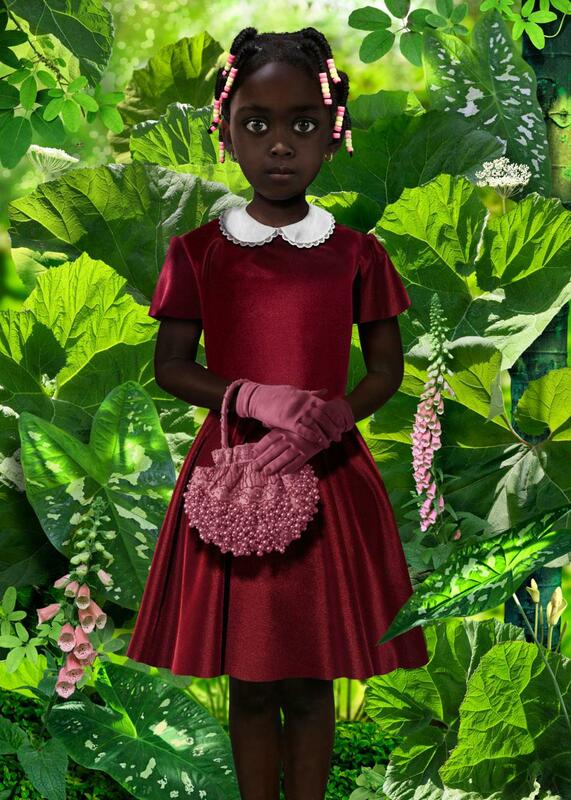 Thus the imaginary black children in the imaginary Eden found in a number of his series including “World” and “Moon” are dressed like proper Dutch children of the 1960s. 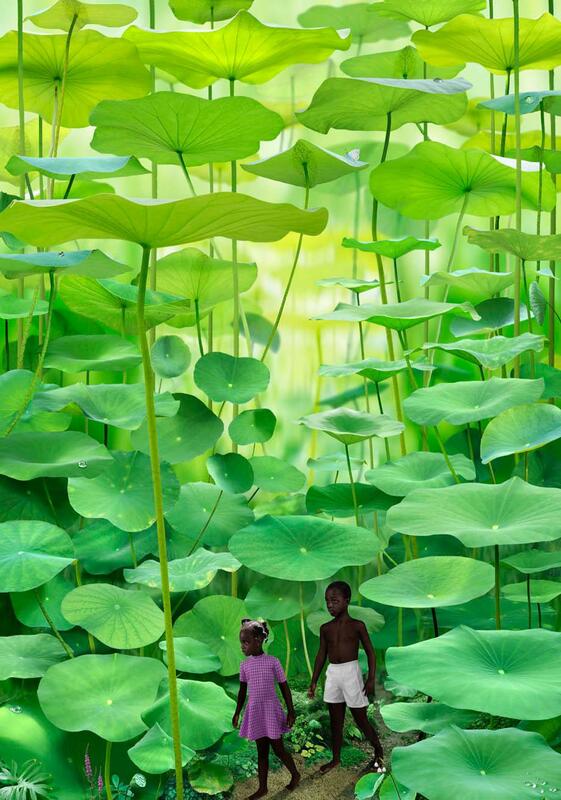 Van Empel is proud of the positive responses he has received from black viewers, including members of a photography class in Kigali, Rwanda. 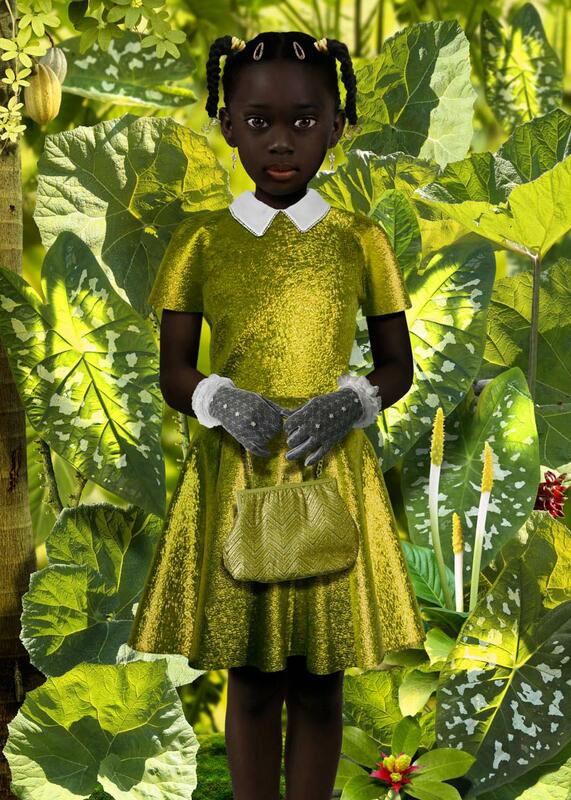 When asked if he thought some of his work might be interpreted as a Westerners’ fascination with a group of people because of their otherness, van Empel said it definitely wasn’t his intention with any of his work. World #33, Made for the Elton John AIDS Foundation Photography portfolio in 2008.